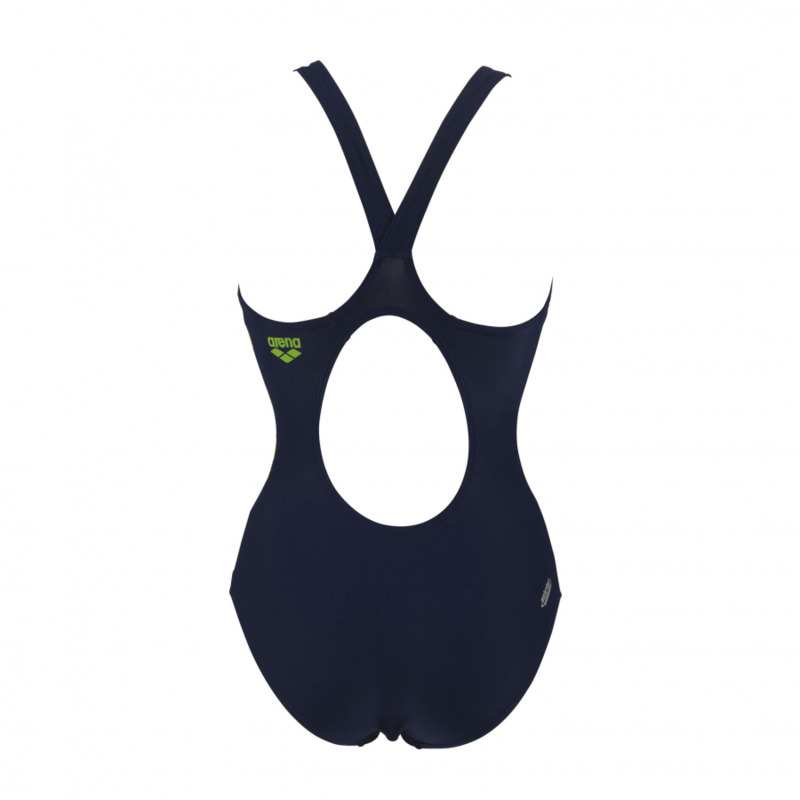 The Arena Glacier womens one piece swimsuit is navy blue and features an abstract green and blue pattern and Arena name across the front. 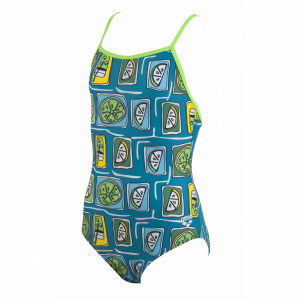 The Energy style back and medium leg complete this attractive and flattering swimming costume. The suit is manufactured from Waterfeel X Life Eco which is a fully recycled fabric with a low impact on the environment. 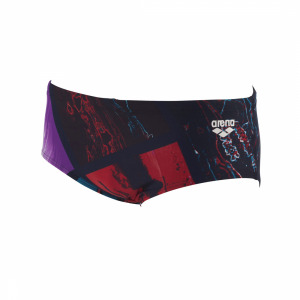 It is a two way stretch material which provides a precise fit. 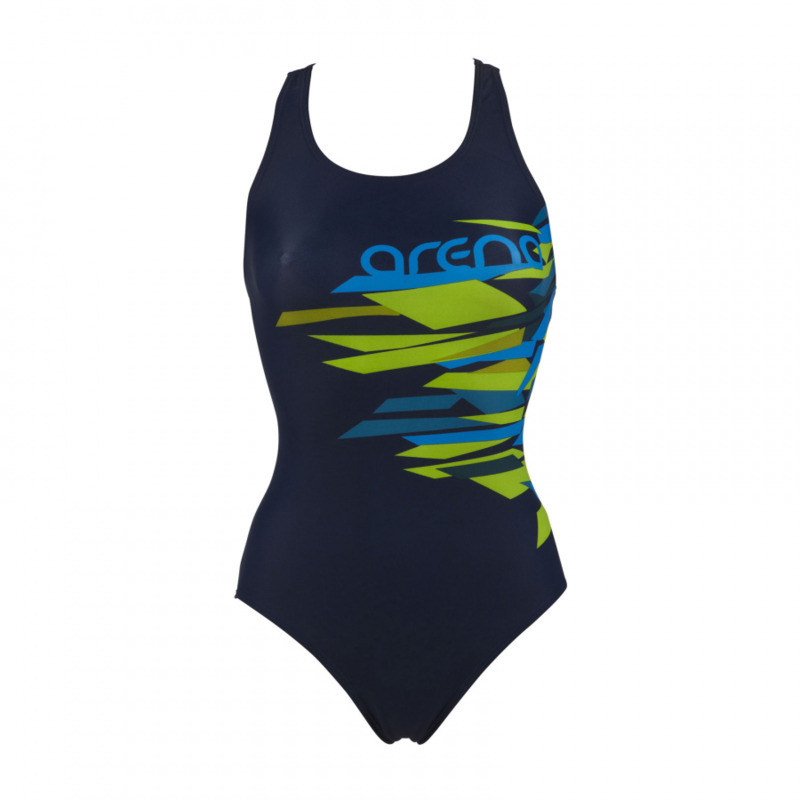 The Waterfeel range of materials are chlorine and sunlight resistant which makes this an ideal costume for sunny climates.